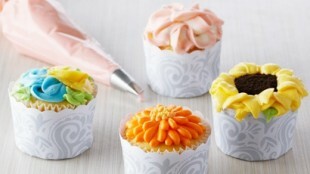 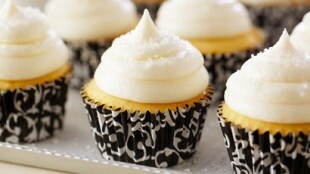 In episode Cupcakes of TV show Bake with Anna Olson prepares Anna Olson recipe for Fluffy Vanilla Cupcakes. 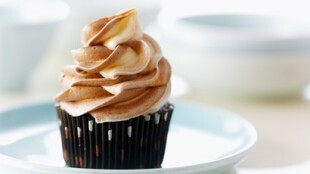 In episode Cupcakes of TV show Bake with Anna Olson prepares Anna Olson recipe for Chocolate Spice Cupcake with Chocolate "Swirl" Frosting. 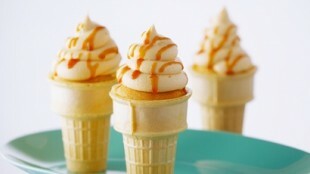 In episode Cupcakes of TV show Bake with Anna Olson prepares Anna Olson recipe for Dulce de Leche Ice Cream Cone Cupcakes.